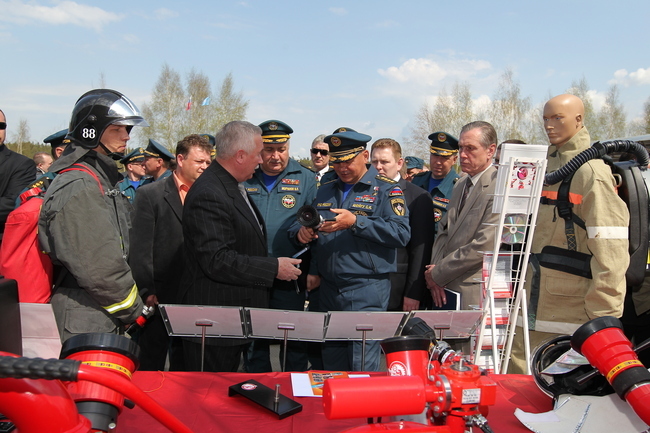 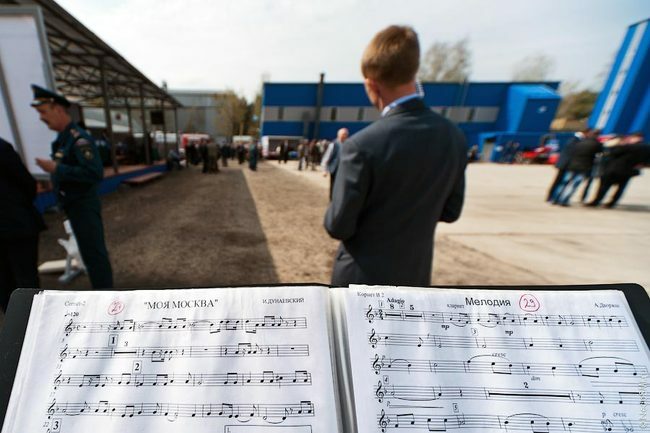 May 4 at the site of the Federal State Institution All-Russian Research Institute for Fire Protection (Research Institute of Fire Prevention) Russian Ministry of Emergency Situations in Balashikha, Moscow region, a demonstration of the latest technical developments MOE Russia — Day of advanced technology and innovation. 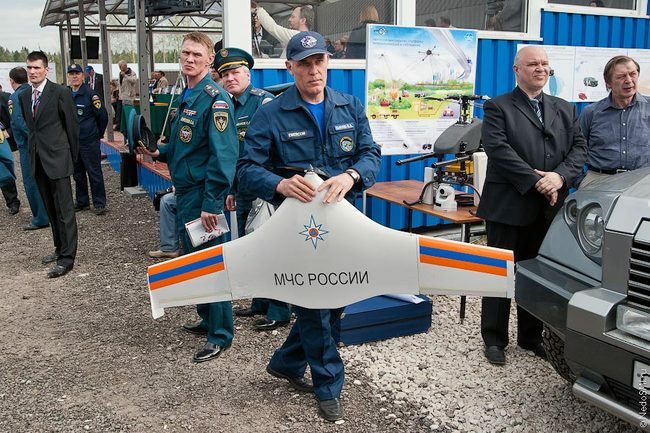 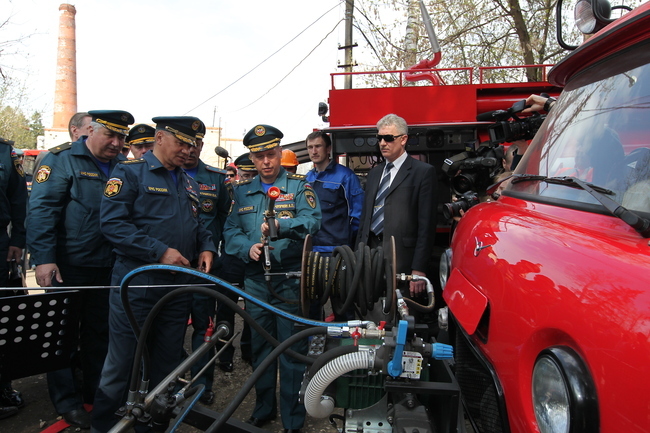 The event was attended by the head of the Russian Ministry of Emergency Situations Sergei Shoigu, the leadership of the Ministry, members of the Public Council under the Ministry of Emergency Situations of Russia and other distinguished guests. 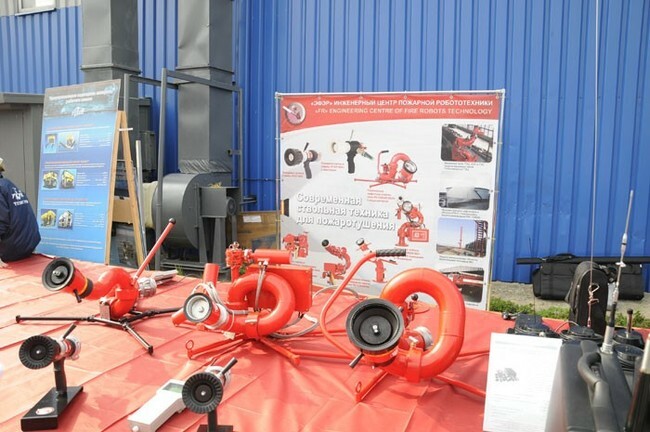 As part of the Day of Innovation, an exhibition, which was attended by the company offering a variety of innovative advanced materials, equipment and tools for fire protection of people, the elimination of various accidents and other advanced technologies. 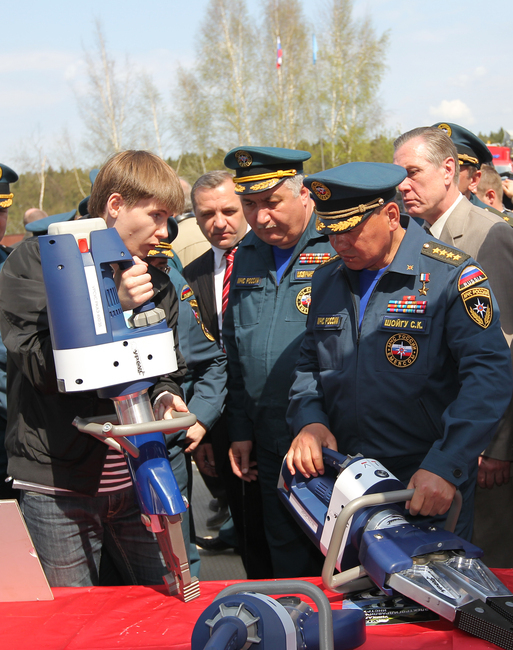 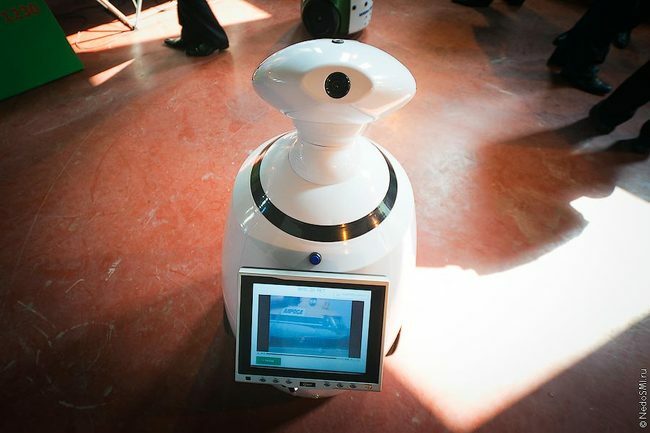 Was presented modern robotics used in hazardous conditions for human life. 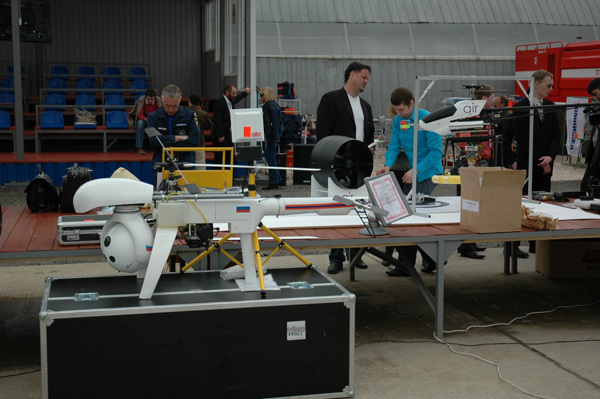 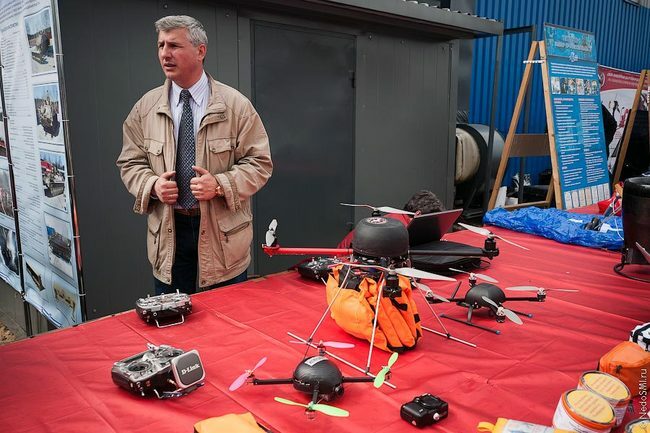 As part of the exercises were held with the presentation of the functionality of modern technology and robotic systems. 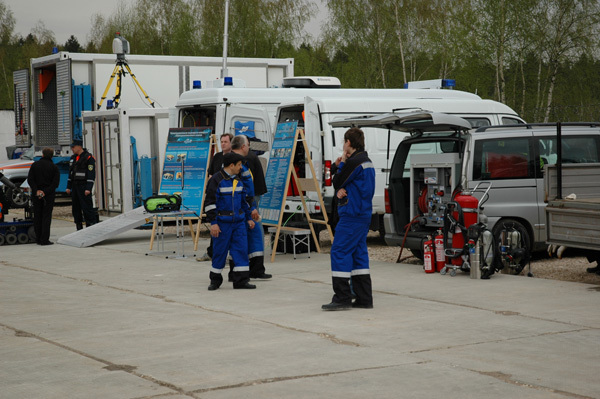 All companies participating in the event have been carefully screened for relevance, innovation and the prospects of our products and services. 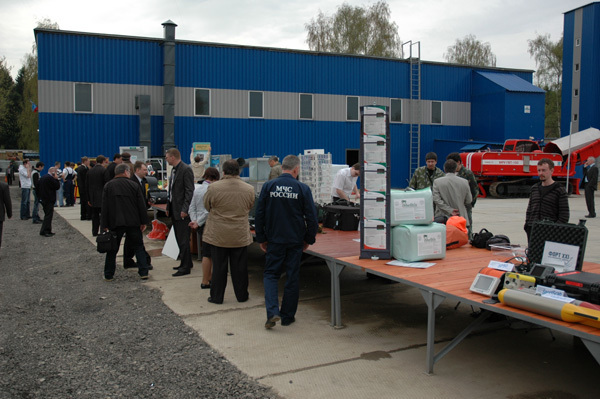 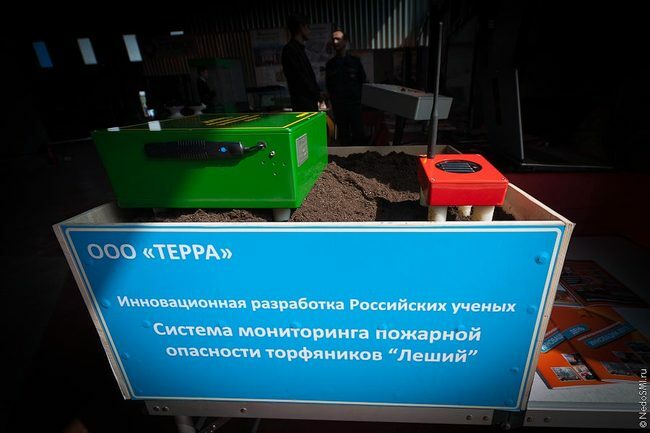 All the products were not only demonstrated, but also shown in operation. 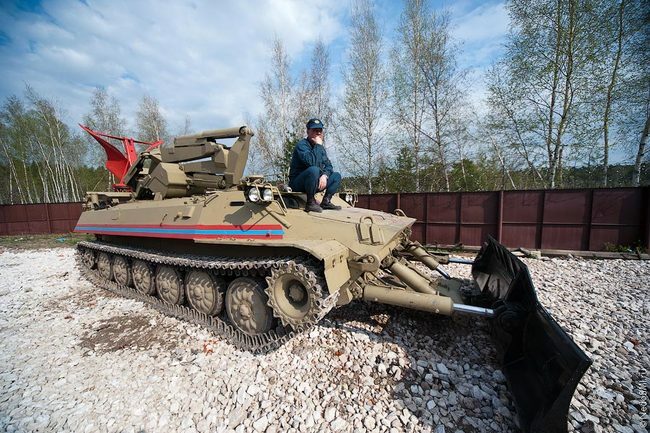 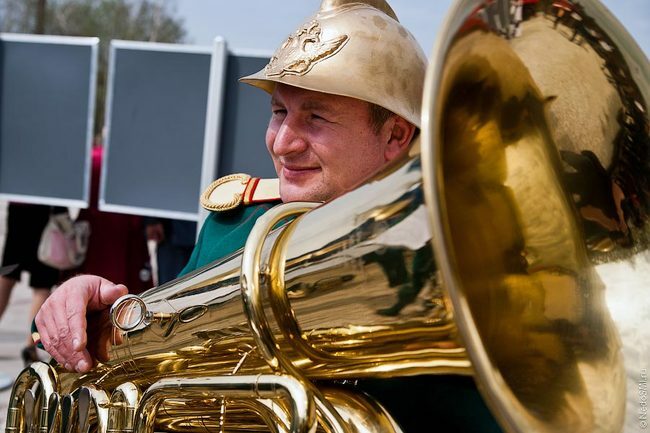 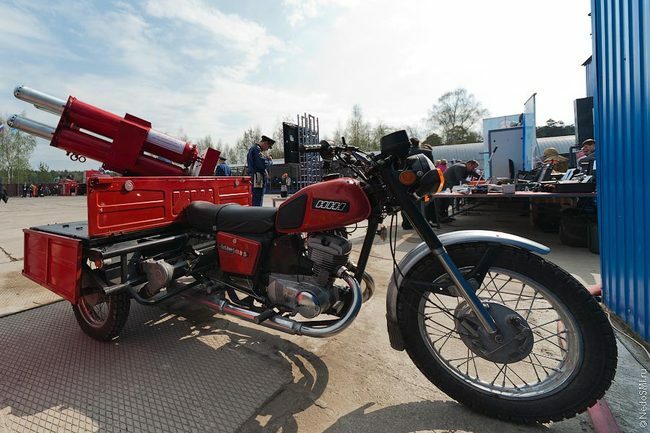 In an interview with reporters, Sergei Shoigu noted the effectiveness of a number of submitted samples of the new technology, in particular the universal pump and bag the car on the chassis of KAMAZ, who, according to the Minister, "can replace pipeline battalion." 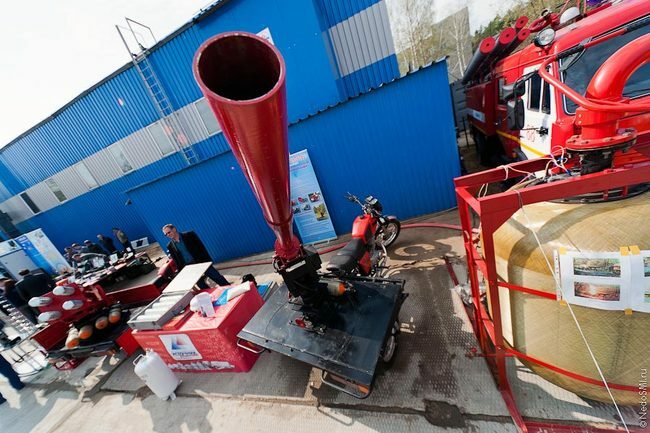 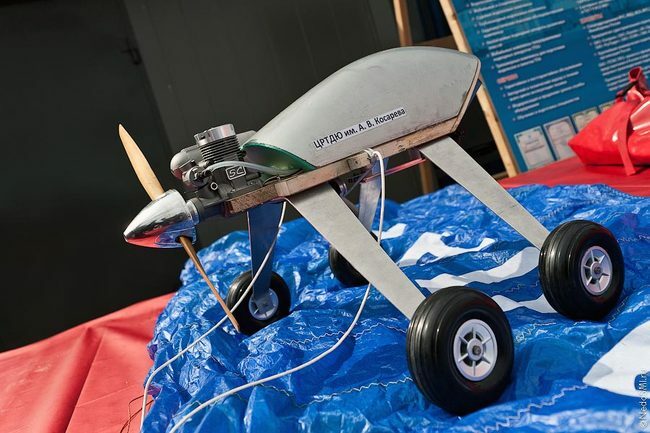 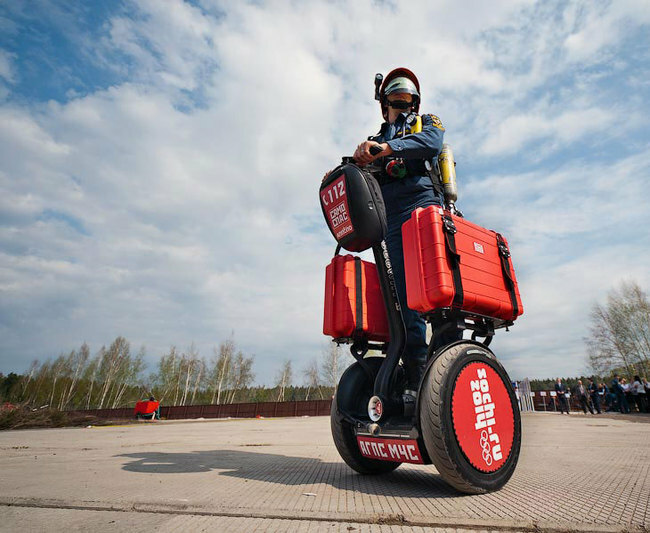 "The machine can take in water vertically and apply it to a distance of 3 km," — he said. 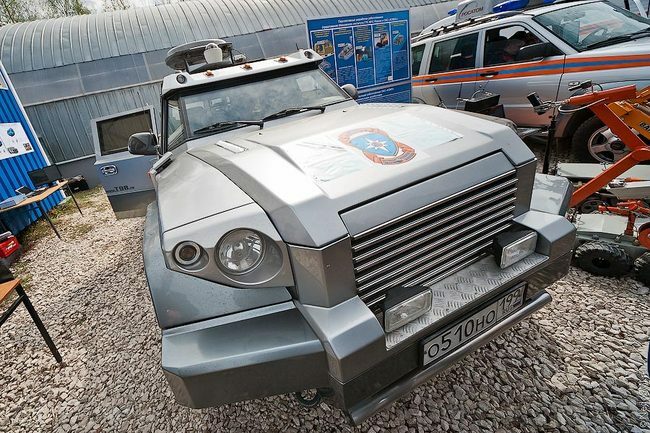 Today was demonstrated a prototype of this car. 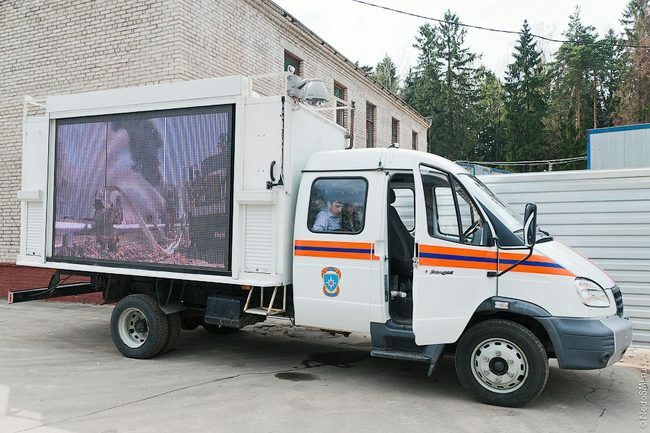 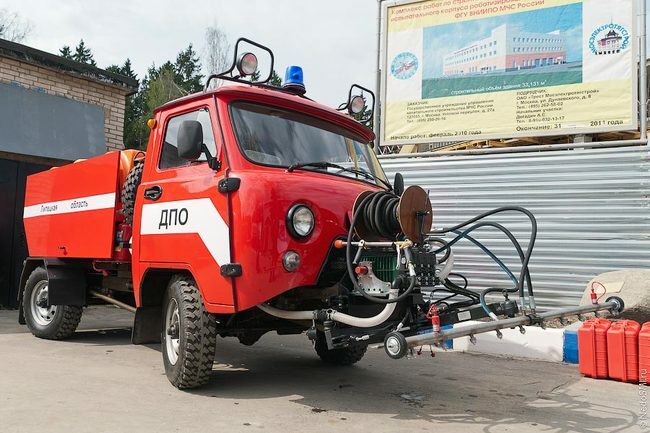 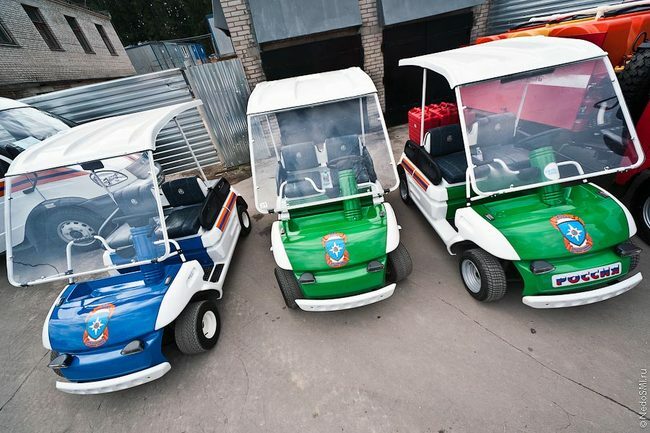 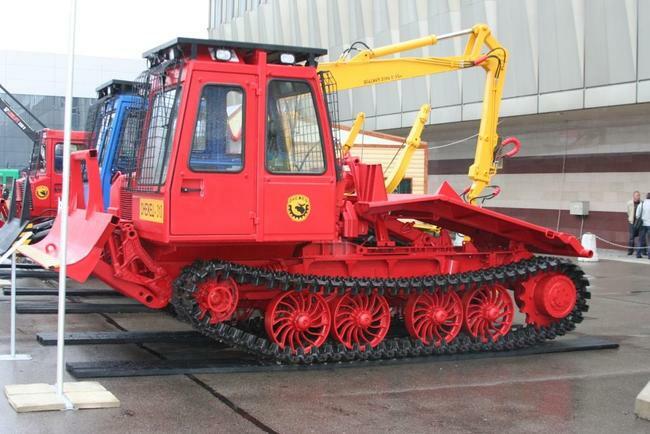 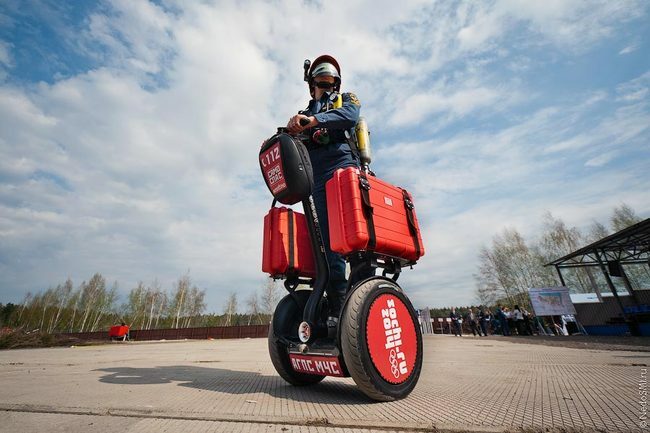 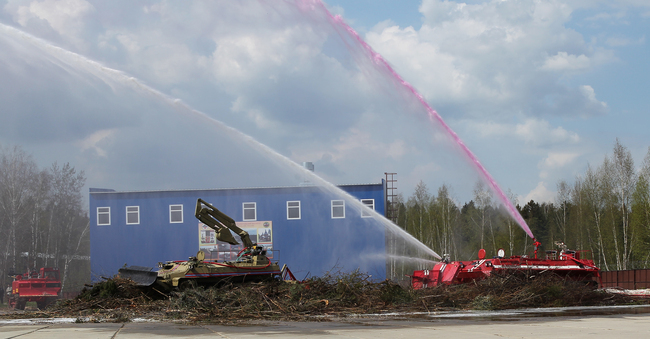 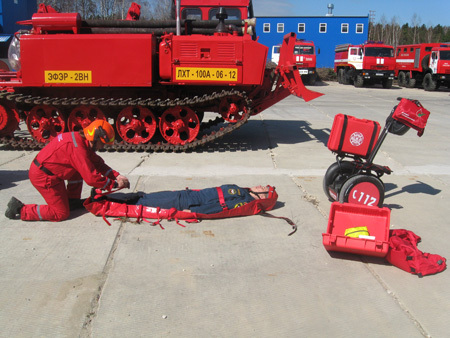 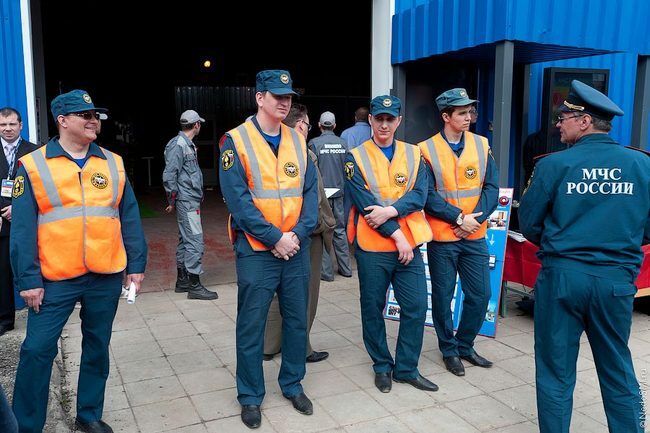 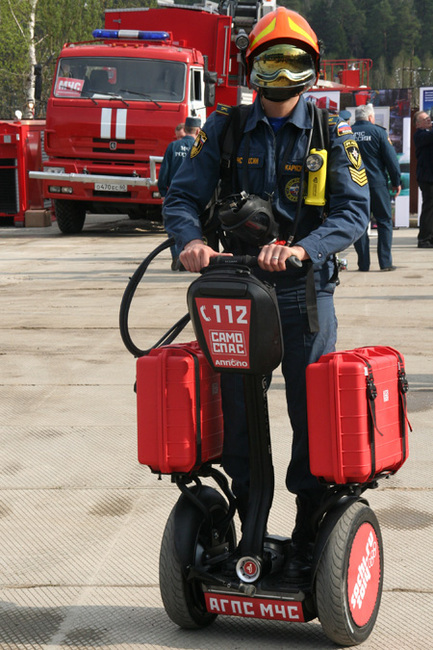 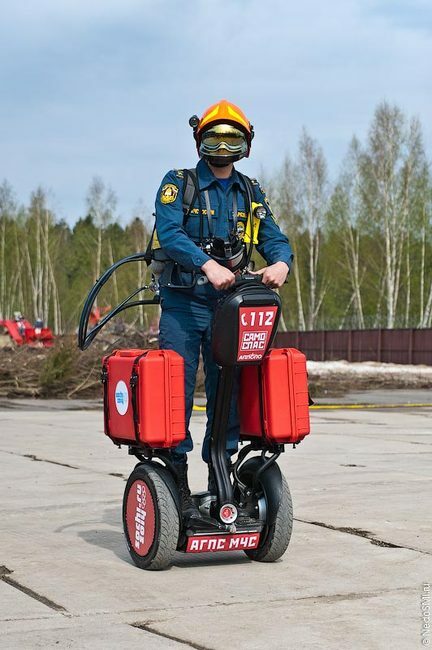 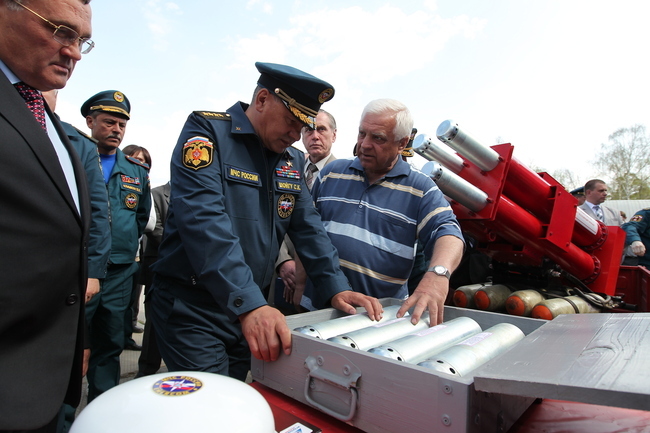 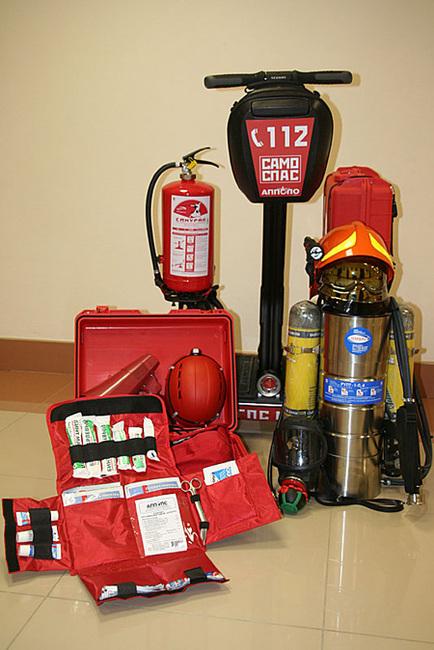 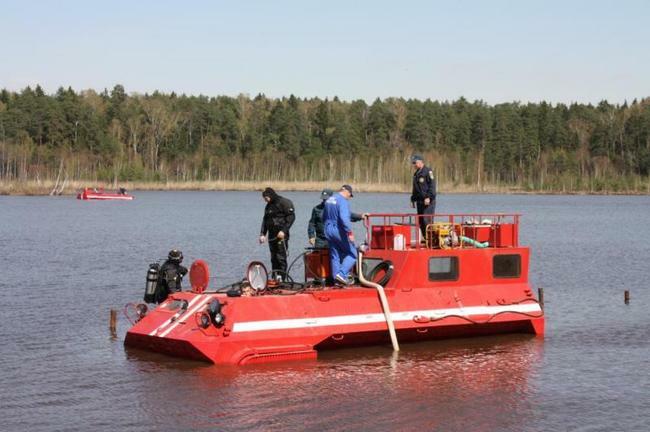 "This year we plan to produce five such machines, the next year it is planned that they will appear in all regions of the fire," — said the head of the Ministry of Emergency Situations. 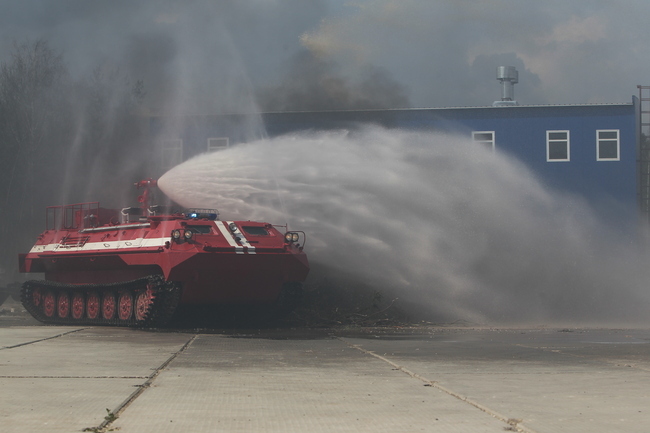 Sergei Shoigu said that at present are removed from the long-term storage avtorazlivochnye station and about 3 thousand of these stations go into service of volunteer fire brigades. 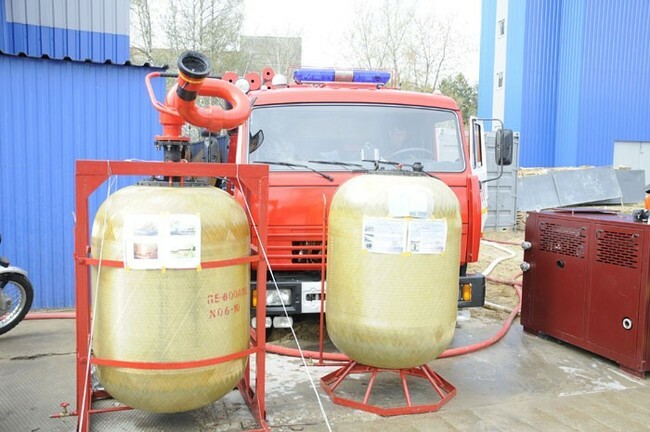 It also creates a technology to create a water curtain on potentially hazardous objects. 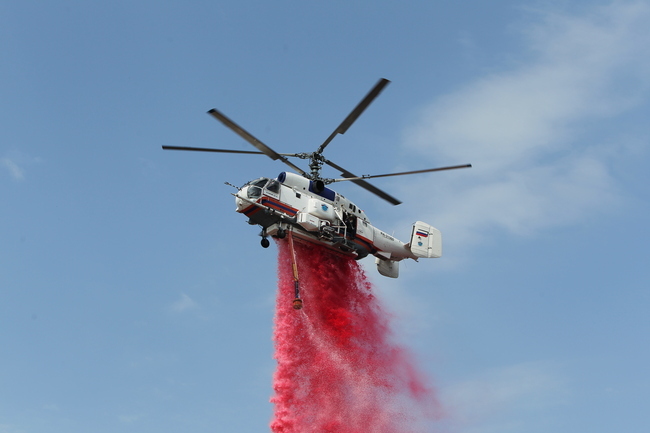 In addition, the summer will be additionally equipped with a spillway devices 50 aircraft state aircraft by the end of the year — 129. 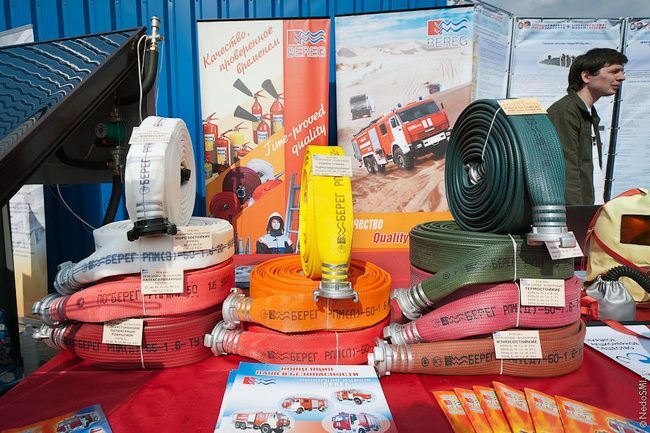 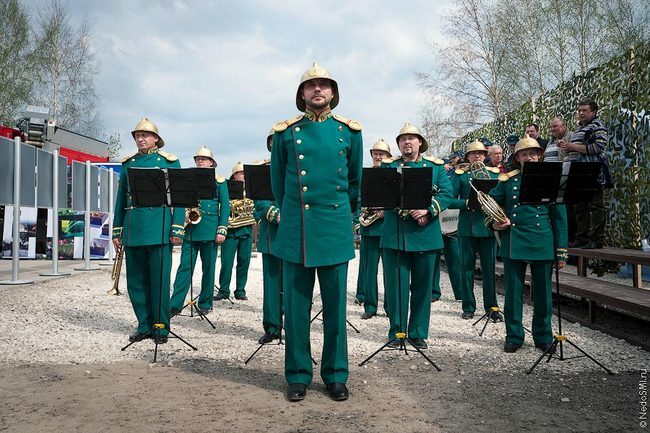 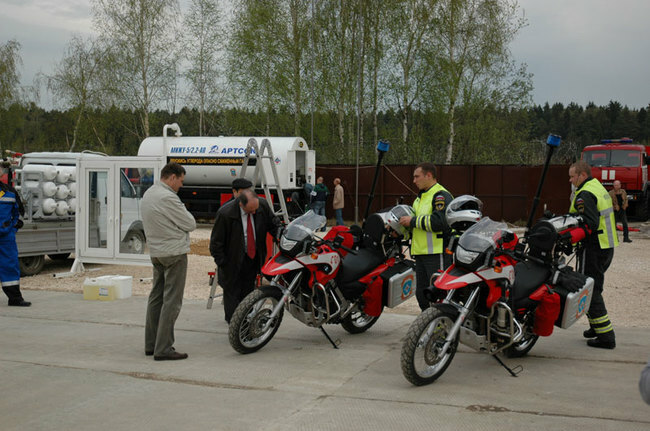 "This will be the biggest aviagruppirovka firefighting in Europe" — said the head of the Ministry of Emergency Situations. 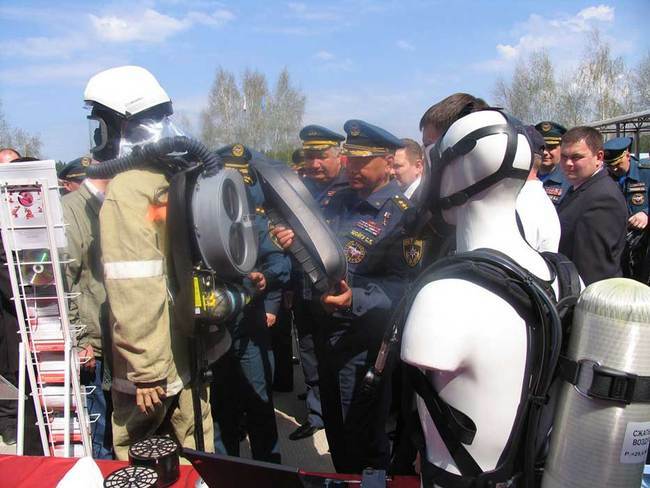 Sergei Shoigu in anticipation of the holidays reminded Russians of the need to comply with fire safety regulations during outdoor recreation. 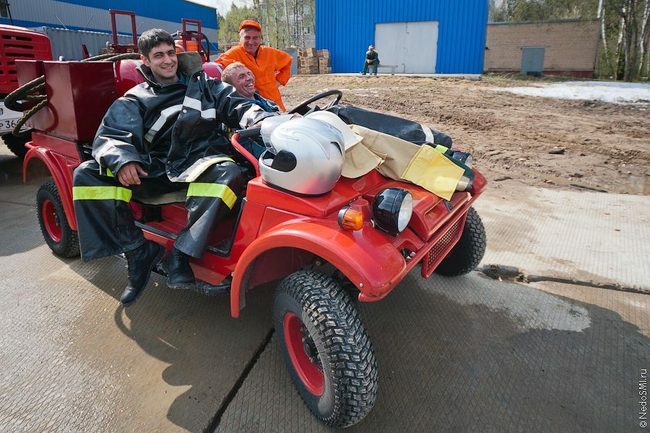 He said that 99% of wildfires occur because of the person. 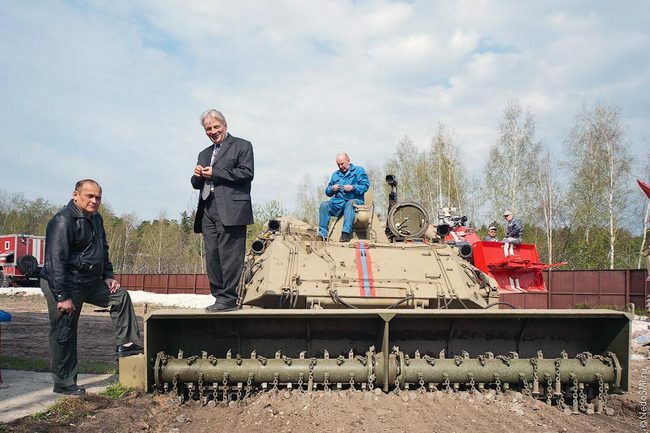 "We hope that we will be heard and be more accurately a barbecue, picnic, — said the Minister. 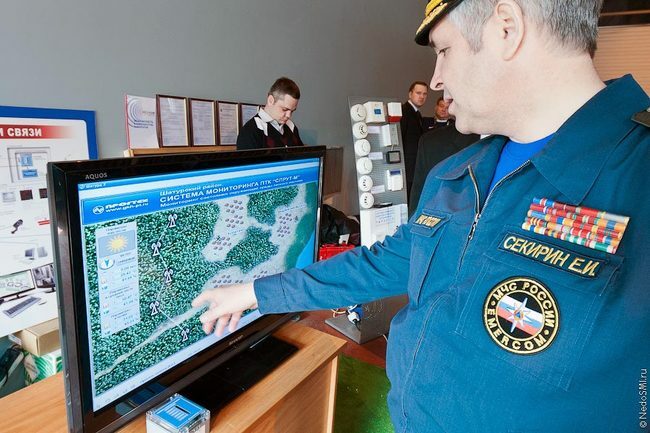 — We have a big country rich in nature, and of course, people are going on holiday in garden plots. 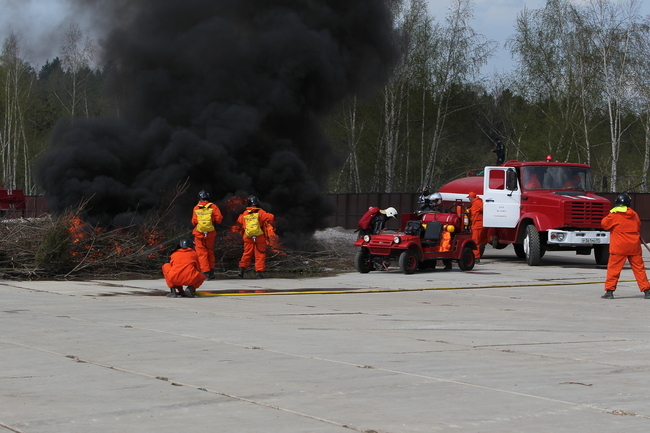 Begin there to burn the grass, cleaning up, rises wind and as a result are burned entire villages of gardeners. "